What??? You’ve never placed a wager on football? Ok, no worries! We’re going to give you all the details on how to bet on football. After reading our football guide you should be raking in millions every matchday. Well, actually…not! But you’ll definitely have a better idea what to bet on. There are those that say football is not a sport; rather they consider it a religion. No matter where you go across the globe, you’ll be able to find millions of fervent supporters. But the greatest level of football takes place in Europe, where some of the best national and club sides come from. That’s not to take away anything from other parts of the world, but it’s just that Europe features the biggest leagues and tournaments, not to mention also the money involved. Just like the US is the biggest stage for basketball (the NBA), Europe is conversely the place you strive for if you’re a player coming from the outside. The game is straightforward and the rules are simple (well…in most cases): 11 against 11 play with a round object usually referred to as a “ball,” and they try to get it in each other’s goal. They play for 90 minutes, plus a few additional minutes due to delays caused by “Oscar-winning” performances from the players. When the time is up, the game normally ends with one winner or a draw. Understanding this should be easy, so you’re already one step closer to becoming an expert on how to bet on football. Football is perhaps the sport with the most diverse betting options. Yes, yes, we’ve heard of NFL Parlays, and those are pretty cool. But we’re talking about “real” football now so pay attention. We will use Bet365 Sports as an example – the most popular online sportsbook. They sinfully refer to football as “Soccer” in efforts to appeal to a wider market, and also so there would be no confusion as to what kind of football they’re referring about. But once you click on that section, you’ll see tons of betting options. All biggest leagues are available, but if you prefer to wager on niche markets you can also do that. Explore what leagues seem interesting, and which ones offer you enticing odds. The easiest bet to make is choosing the outcome of a match: one team wins or there is a draw. If you’re just starting to learn how to bet on football, this is the ideal way to kick off your sportsbetting adventure. Once you get the hang of it, you should definitely try betting on a number of events on one betting slip. This forms part of the Accumulator, so all of the bets that you make will multiply and the odds will be bigger. But remember, the bigger the risk the bigger the potential rewards. Afterwards, we advise you to graduate to unique markets, like: Goalscorers (in a game), Goals Over/Under, Handicaps, Half-Time/Full-Time and lots of other great options. Unlike just betting on the Full Time Result market, placing a wager on the special options is far more entertaining, because you’ll be paying closer attention to the small details of the match. Make things more interesting with In-Play or Live Betting – this allows you to make changes to your bets, which can see you collect big sums, depending on the way the respective match evolves. Say for instance, before a game started you placed a bet that Arsenal would have 10 corners throughout the match. Imagine the game has now reached 60th minute, and Arsenal already has 7 corners with 30 more minutes to go until the end. With In-Play, the sportsbook might offer you slightly less money than what your original winnings might be at this stage, but this offers you the chance to be safe and cashout money, in case Arsenal don’t reach 10 corners. 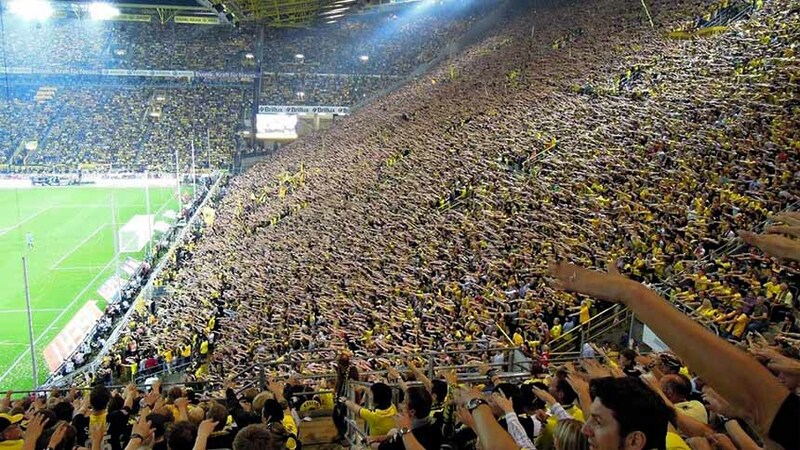 The biggest football events to bet on! Football has a whole host of events that you can bet on. There are loads of competitions, but we’ll take a look at some of the biggest ones that enjoy global popularity. National Leagues: One of the most common betting events are the national leagues of each country; with matches taking place regularly – normally once a week. The season is pretty long and features tons of matches. The point in the league is to collect as many points as possible throughout the season; a win awards 3 points, a draw awards only 1, while a loss results in 0 points. The club with the most points at season’s end is crowned champion of the league. National Cups: every country has its own edition of the Cup. The clubs that participate in this competition don’t collect points – like in the league – but rather employs the knock-out format. Other Cups: every once in a while, you’ll have a chance to bet on some of the smaller events. The FIFA Club World Cup, national/international Super Cups and other minor league cups offer unique gaming offers that can carry good odds. Europa League: European clubs that don’t get into the Champions League normally end up in this smaller football championship. Although the football flair is missing due to the lack of top clubs participating, there’s still ample opportunity to win money by placing shrewd wagers. 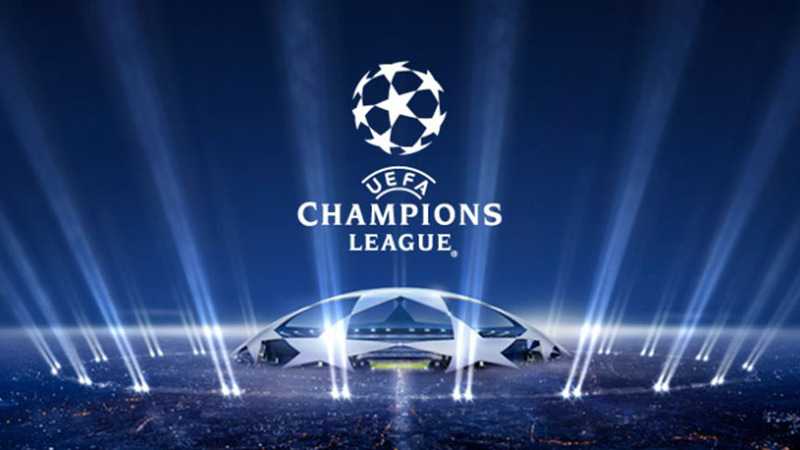 UEFA Champions League: this is the ultimate stage for club football. Europe’s finest clubs from different nations go head to head as they chase glory. It is every players’ dream to participate in this competition and clinch the iconic trophy. CONCACAF Champions League: this isn’t as big as the European version, but it’s probably second best. You can bet on all the South American clubs that partake in this exciting competition, while the exquisite action that the players produce makes the spectacle come to life. Continental Championships: these are the tournaments where the national sides participate in, if they manage to qualify. There are six different championships you can explore and ultimately bet on: European Championship (UEFA – Europe), Africa Cup of Nations (CAF – Africa), Copa America (CONMEBOL – South America), Gold Cup (CONCACAF – North America), Asian Cup (AFC – Asian Cup) and Nations Cup (OFC – Oceania). However, you don’t always have the chance to bet on these events, since they normally take place ever few years. 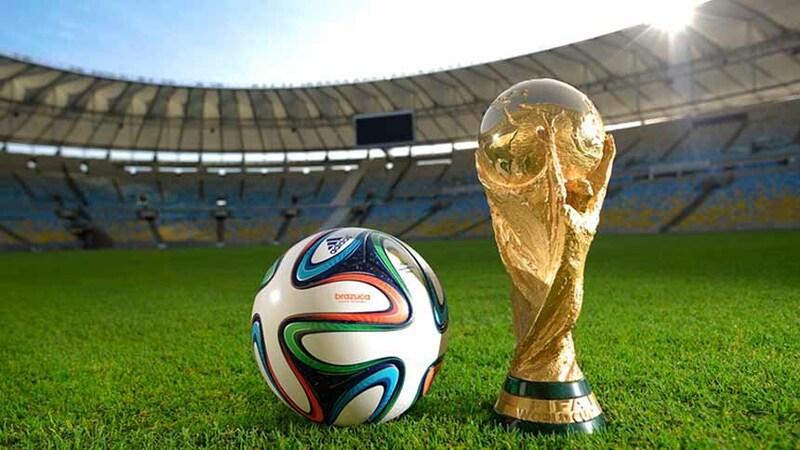 FIFA World Cup: this is undoubtedly the biggest tournament of them all! For players to be representing their respective nations at the World Cup means the world to them (pun intended)! Since the World Cup is staged every four years, it makes the whole competition all the more special. The global audience of 3.2 billion was recorded during 2014 World Cup in Brazil, making this the biggest sporting event on the globe. In the UK, people normally use fractional odds (example: 17/3) when betting, while across continental Europe the use of decimal odds is more prevalent (example: 2.66). The US market uses “American” style of odds (example: +154), but luckily most of the online sportsbooks offer all three main types of betting odds. Since you’re probably just beginning to get the grasp on how to bet on football, we recommend you use the decimal odds system; you won’t have to become Einstein to calculate what your weekend earnings on the Premier League are going to be. For instance, let’s say you have $10 and you want to place a wager with Bet365 Sports on the game Arsenal vs Manchester United. The odds for Arsenal to win are 1.85, while the odds for Manchester United are 2.90 and a draw between the two sides is 3.50. If Arsenal win the game you will get $18.50 in return. It’s that simple; you just multiply your wager with the decimal odds to get your prospective earnings. You can also combine more games on your bet slip – this is called an accumulator. You “accumulate” bets which basically multiply the overall odds. For instance, you want to bet on four games, with the odds being 1.56, 2.33, 1.43 and 3.50 for your preferred markets. These odds “accumulate” (multiply), which altogether equals 18.192. Placing a wager of $10 on this bet slip can see you win $181.92 if all four bets are successful. But remember, if you lose even one bet from the four games, the whole bet slip will become worthless and you can throw it in the trash. So, you have to strike a balance in terms of good accumulator odds and make sure that you don’t have too many events on the bet slip, otherwise it will have been a waste of money. Bookie (Bookmaker) – another name for a sportsbook. In-Play (Live Betting) – this is an option that allows you to change your bets while the match is still on. This way you can make bets that otherwise are not available before the game. Favorite – the team that is stronger and enjoys favourable odds for the game. Underdog – this denotes the team that has unfavorable odds. It’s basically a case of David vs Goliath, but as we know from that story, underdogs are known to surprise sometimes. Accumulator – you choose to bet on two or more games, and the odds of those games multiply. If you win all of the games on the bet slip, you win the money. Over/Under – this is the kind of bet where you can choose if the number of goals in a match will be over or under the limit set by the sportsbook. Price – another name for odds. Bet Slip – the list of bets you select to wager on. Return – the overall winnings that you stand to make, if you bets are successful. Value – the value of the odds (at times, this can also imply that the value of the odds is higher than the average). Halftime/Fulltime – a bet that entails you match the result at half-time and also full-time. Deposit Bonus – you will get a bonus when you deposit a certain amount to your account. First Deposit Bonus – this is just like the Deposit Bonus. It can be the first part of the Deposit Bonus if it’s a package deal (in this case, you will normally see other Deposit Bonuses – Second, Third, or even Fourth Deposit Bonuses). Free Bet – often times, online sportsbooks will give you a free when you place your first bet – the sportsbooks will essentially match your first bet. Enhanced Odds/Value – instead of the standard odds, an event can have Enhanced Odds for a limited time. This promo allows you to take advantage of the higher odds for the specific event, so you can bank in the big bucks. Cash Back (Money Back) – let’s say you placed a wager on a certain event, and that bet wasn’t successful. Normally you would lose the money, but if you use the Cash Back Bonus you can get the “money back” if certain condition during the match unfolded. (Example: if you placed a bet on one of the teams winning, but the game ended in a draw, then the sportsbooks will offer you cash back.) This bonus is ideal for those just getting to know how to bet on football. Refer-a-Friend – when you recommend the sportsbook to your friends, you’ll get an appropriate bonus for your efforts. Reload Bonus – this bonus is essentially a deposit bonus, but is generally offered to existing customers of the sportsbook. 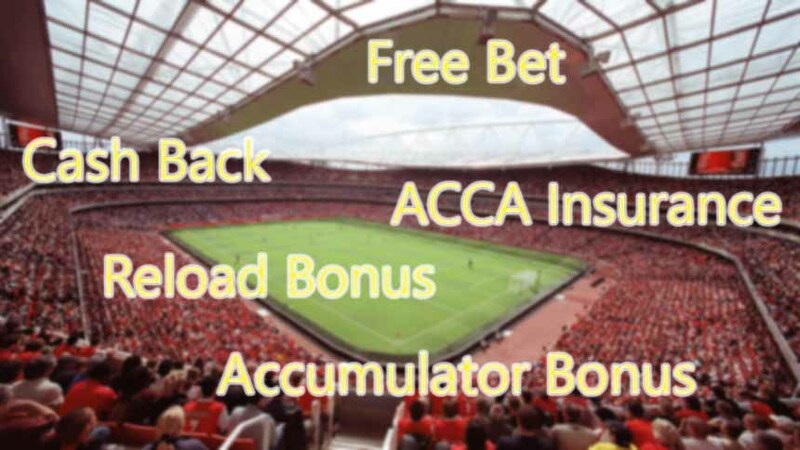 ACCA Insurance – if you lose your bet with the accumulator, the sportsbook will give you money back. To use ACCA Insurance, there are some conditions that must be met – some sportsbooks require that you have at least six games on the accumulator. Accumulator Bonus – if you place an accumulator bet slip, then you’ll get an added bonus that normally sees your overall odds increase. The majority of online sportsbooks offer football options. If you’re new to betting and learning how to bet on football, we advise you open an account with some of the online sportsbooks listed below. We hope that we’ve been helpful in shedding some light on how to bet on football. If you have any questions, please drop us a message!